(AUSTIN, Texas) 3.11.15 — The application process is open for middle- and high-school students interested in the Huston-Tillotson University Austin Pre-Freshman Engineering Program (AusPrEP) summer program scheduled June 8 through July 24, 2015. The science, technology, engineering, and mathematics program targets minority students interested in STEM field opportunities. In addition, fifth graders only are eligible for admission to the four-week Pre-Algebra Institute that will be held June 29 through July 24, 2015. Both programs are scheduled on the Huston-Tillotson University campus located at 900 Chicon Street. AusPrEP is one of the Texas Pre-freshman Engineering Programs (TexPrEP) located on college campuses around the state. PrEP was founded to identify high achieving middle and high school students with the potential and interest in becoming scientists and engineers and to reinforce their pursuit of these fields. The nationally recognized program was founded in 1979 at the University of Texas at San Antonio. 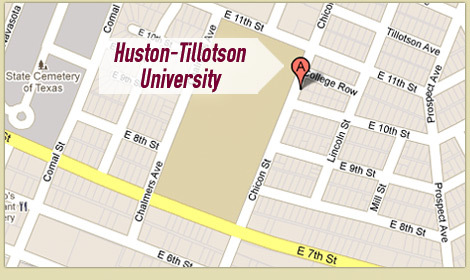 Huston-Tillotson has operated AusPrEP since 1990. Each first-year applicant will need two recommendations, one from his/her mathematics teacher and one from a science teacher or counselor; should have an A/B or better average in their academic courses, especially in mathematics during the current school year; should submit a copy of his/her latest grade report for the current academic year; and must submit a short essay (100-200 words) which gives reasons for wanting to participate in AusPrEP. The first year emphasis is on study and research work in mathematics, physics, engineering and computer science, and technical writing. The second year focuses on physics, algebraic structures, problem solving, research and study. During the third year, students are introduced to technical writing, and probability and statistics. The deadline to submit application materials and the $50 registration fee is April 30, 2015. Interviews may be required to determine admittance to the program. Finally, an orientation is required for parents and participants. Applications may be submitted by mail, fax, email, or in person to Huston-Tillotson University; Center for STEM Success; Dickey-Lawless Science Building, Room 102; 900 Chicon Street; Austin, TX 78702. For more information, contact Dr. Monique Johnson-Jones, Program Site Director, at 512.505.6448 (phone), 512.505.3190 (fax), email mmjohnson-jones@htu.edu, or visit https://htu.edu/academics/special-programs/ausprep.